With a brand new 2018 range Game Max have introduced the Game Max Hush RGB Silent Gaming case it comes with soundproofing for the gaming enthusiast who wants a cool and quiet rig – the built-in sound dampening matting will keep your system quiet and allow you to hear what you want to be hearing. With a very simple and classic design, it comes with a tempered glass front panel and a full tempered glass left side panel. 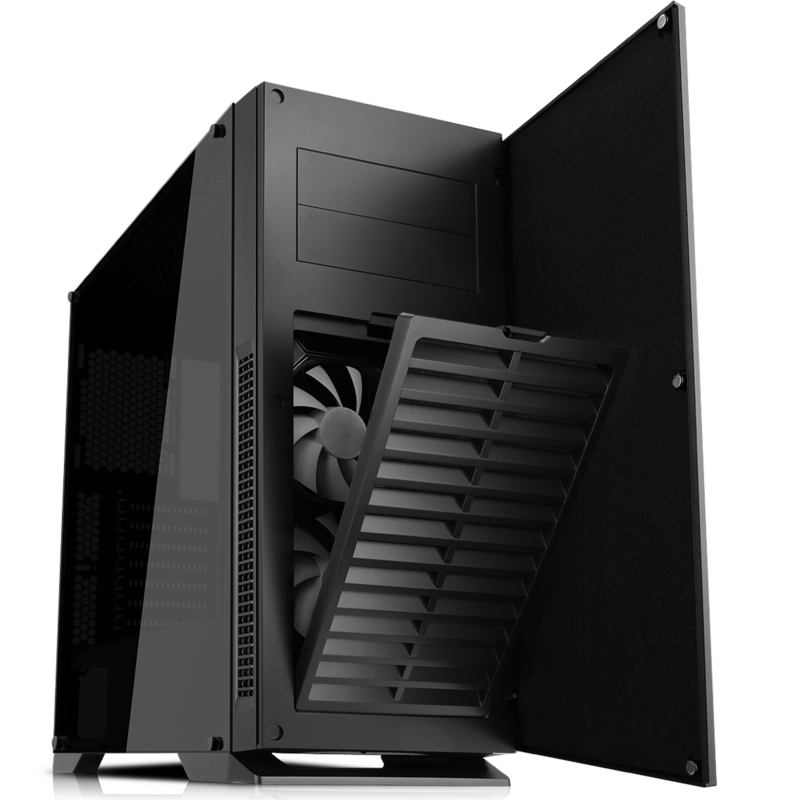 The Hush has 1 fan controller on the top allowing you to control the speed of your fans quickly and efficiently. Along with the fan controller there is a LED button allowing easy access when changing the colour of your RGB fan at the back once connected to the PCB hub. 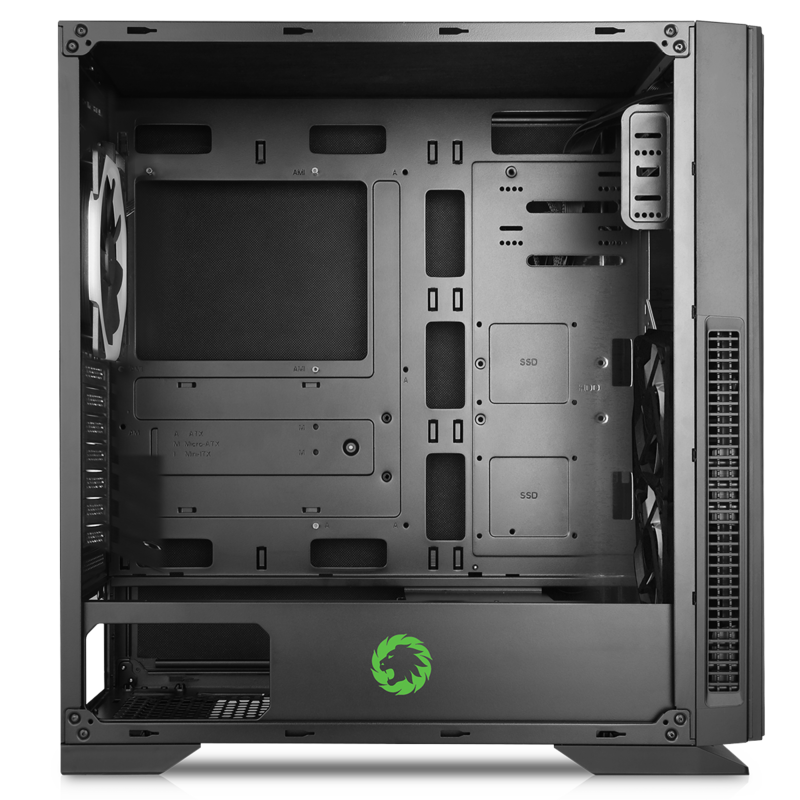 The Hush has three fans included 1 x 120mm Single-Ring Halo RGB fan at the back and 2 x 120mm black frame white bladed fans at the front which makes this an ideal solution for the gaming enthusiast and an excellent cooling solution to help to keep the computer temperature low. The 1 x USB3.0 and 2 x USB2.0 allow the user to connect to most media storage devices. In line with the Game Max ethos this case offers style, performance and the ultimate experience. I/O Ports – 1 x USB3.0 and 2 x USB2.0 and HD Audio. Fan Controller – 1 fan controller included on the top of the Hush allowing you to control your fan speeds to better suit your needs. 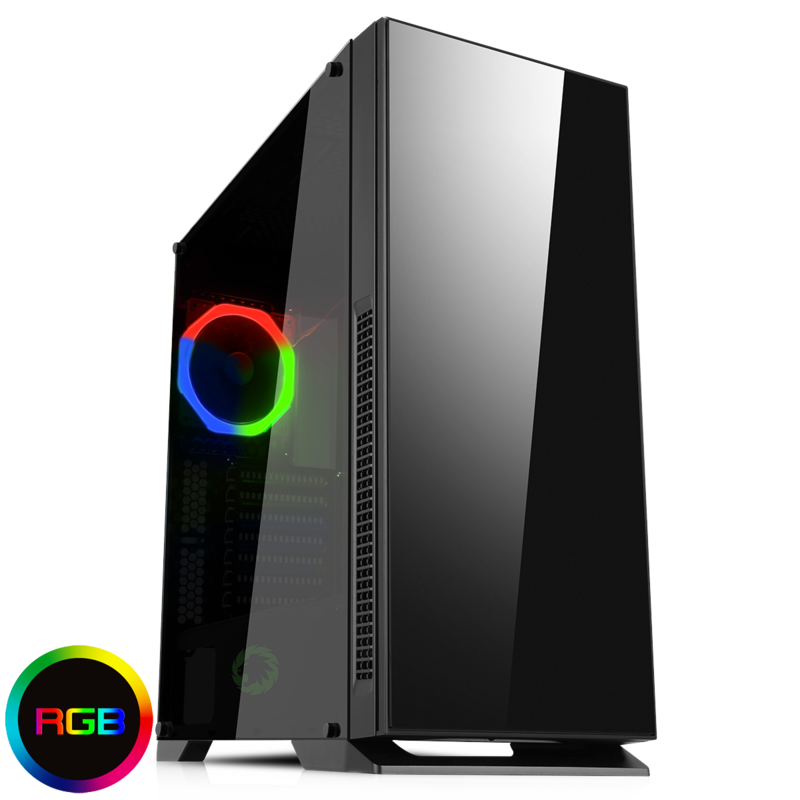 Tempered Glass – Full tempered glass on the front and left side panel allowing the user to show their internal components form all angles. 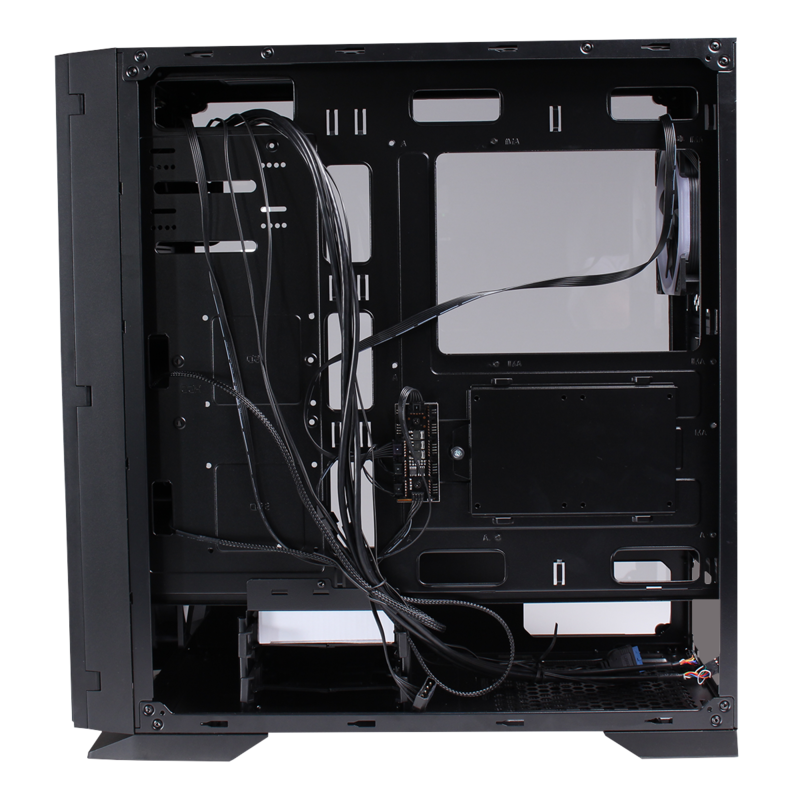 Fans – 2 x 120mm black frame with white bladed fans at the front and 1 x 120mm Single-Ring Halo RGB fan at the back, increase airflow and add colour to your chassis. PCB Hub – A PCB hub included with the Hush supports a total of 10 devices, once connected to the hub you can control the speed and the mode of your fans. LED Button – The LED button on the I/O panel allows the user to change the colour of the Single-Ring Halo RGB fan quickly and efficently. Removable Dust Filter – A dust filter on the bottom of the Hush helps to prevent dust from getting into your build and helps improve the performance of your chassis.